Insurance & Appointments | Retina Associates of Missouri, P.C. Due to specialized evaluation techniques and the possibility of further testing, you should allow at least 2 hours for your visit, perhaps longer depending upon the treatment needed. Since unpredictable emergencies are sent to our practice for immediate attention, our appointment schedule may sometimes be delayed. Upon arriving to our office a technician will measure your vision and intraocular pressure as well as instill dilating drops. After allowing your pupils to dilate adequately, you will be examined by the physician. Dilating drops frequently blur vision for a length of time which varies from person to person and may make bright lights bothersome. It is not possible for your ophthalmologist to predict how much your vision will be affected. Because driving may be difficult immediately after an examination, it’s best if you make arrangements not to drive yourself. We reserve the right to refuse treatment to patients unaccompanied by a driver. All efforts are made to assure that you are seen on time. However, because our practice often involves emergency patient care, we are sometimes delayed in keeping our appointment schedule. Please bear in mind that depending on the nature of your problem and possible testing involved you may spend several hours at our office. Because your eyes will be dilated when you leave, we recommend that you have a driver with you. Due to the recommendation that all patients have a driver we do ask that you limit the number of guests that accompany you to the visit due to limited waiting room space.. Appointments should be made in advance by calling the office at (573) 874-1616 or toll free at (888) 876-1616. We can be reached by phone from 8:30 a.m. to 4:30 p.m. Monday through Friday. If you are visiting us for the first time please arrive 15 minutes before your scheduled appointment for patient registration. If you are unable to keep your appointment please give us at least 24 hours notice. We participate in the Medicare program. This means that Medicare will pay us directly for 80% of their allowable charge after you have satisfied your annual deductible. If you have supplemental insurance we will bill them for the 20% balance. Otherwise, you will be responsible for the balance. You could also be responsible for services not covered by Medicare. If treatment recommendations are outside the Medicare coverage guidelines these will be discussed prior to the service being rendered. We participate with most private insurances and many managed care plans. If your insurance requires a referral from a PCP (Primary Care Physician) it is your responsibility to ensure that we receive that referral prior to the day of your visit. We file insurance claims for our patients. However, deductible and co-payments are collected at the time of service. Your insurance contract defines of the extent of coverage. While we will assist you in filing our claim, it is your responsibility to pay the charge in full. While your health is our first priority, we are sensitive to the high cost of health care and will do our best to deliver your care in the most cost effective manner possible. Thus, if you do not have insurance, we ask that you make payment for office services at the time of your visit. If you are faced with financial hardship, please do not feel overwhelmed. 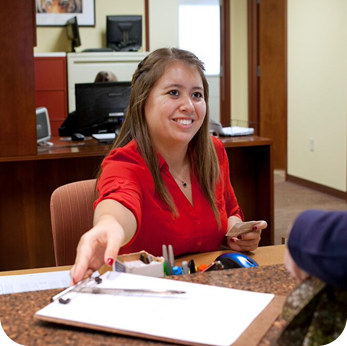 A Patient Account Representative will work with you to establish a mutually agreeable and realistic payment plan. We consider it a privilege to assist in the care of your patients with retinal problems. Our goal is to provide them with the highest level of care and attention. We are dedicated to providing prompt consultations and legible communication with our electronic medical record system. We will make every effort to receive your calls at any time, night or day, should an emergency arise.